Yes, You Can Get A Ticket For This. An Ogdensburg man was charged with squealing tires at 10:40 p.m. Tuesday at the intersection of State Street and Riverside Avenue, according to police. 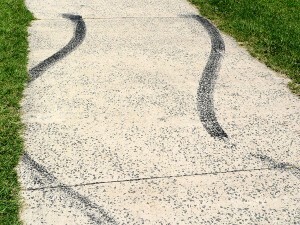 Edmund Barr, 24, of 310 Rosseel St., was issued a traffic ticket for squealing his tires.